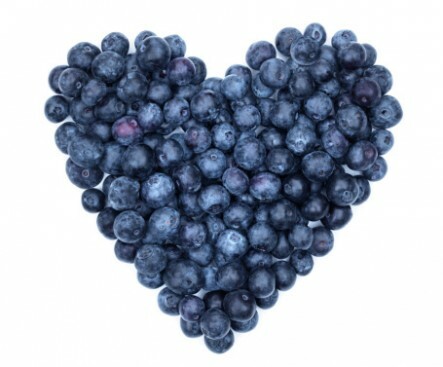 Blueberries help protect you from cancer, keep your heart and brain healthy and even help you lose weight. I love their taste and consider them a powerfood. 1. 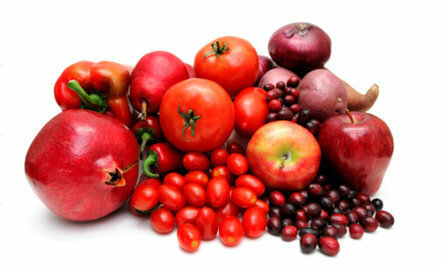 More antioxidants per serving than all other fruits, vegetables, spices and seasonings. Antioxidants are compounds in foods that neutralize chemicals called free radicals (unstable molecules), produced by oxidation in the human body. 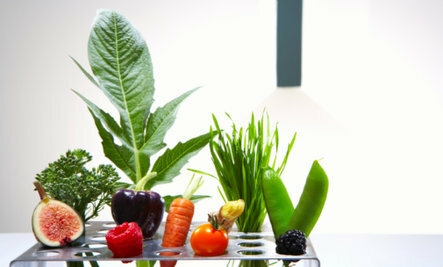 Antioxidants found in foods protect your cells from the effects of free radicals. Free radicals are produced when your body digests your food for energy and by environmental toxins. They can damage cells; have been linked to conditions such as heart and liver disease, cancer and weakened immune system. 2. Great for the Brain – They Improve Memory. Blueberry juice improves memory in older adults. This is good news for us baby boomers! 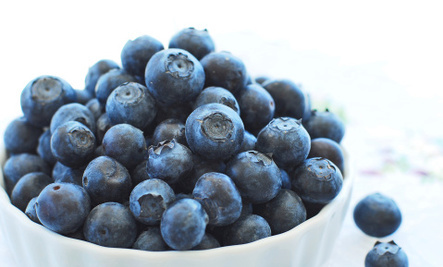 “When it comes to brain protection, there is nothing quite like blueberries, call the blueberry the brain berry,” says Dr. James Joseph, at the USDA Human Nutrition Research Center on Aging at Tufts University. Studies with blueberries have found that breast cancer, colon cancer, esophageal cancer, and cancers of the small intestine were reduced. These studies were on human cells or laboratory animals so we are still waiting for more research, but so far research points to astounding healing powers. Good news is there is an increasing percentage of blueberry research focusing on anti-cancer benefits. 5. Reduces Risk of Diabetes. One of the antioxidants found in blueberries, anthocyanins which give them their blue color has been found to lower risk of Type 2 diabetes. People who ate two or more servings of blueberries weekly reduced their risk of developing diabetes by 23 percent in one study. 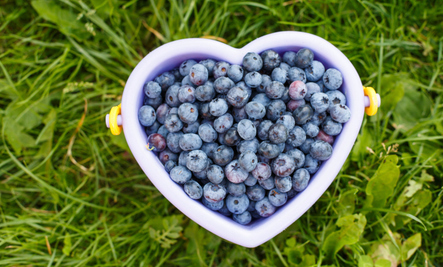 Blueberries are low on the Glycemic Index, so people with diabetes can easily consume them. 6. Help with Weight Loss. Want to activate those fat burning genes? Blueberries can do that with the catechins found in them. 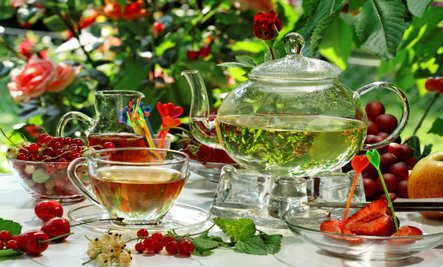 Eating foods full of catechins will double total weight loss, according to research at Tufts University. 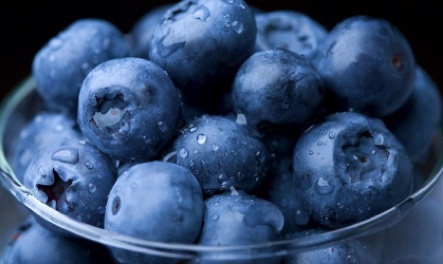 Blueberries may even help reduce belly fat. Blueberries contain vitamin C, B complex, vitamin E, vitamin A, copper, selenium, zinc, iron, magnesium, manganese and potassium. Blueberries were called “star berries” by Native Americans because the five points of blueberry blossoms make a star shape. Also, they believed that the ‘Great Sprit’ created the berries to feed their hungry children during famine. The Shakers made the blue paint for the woodwork on their houses from sage blossoms, indigo, blueberry skins & milk. The U.S. is the world’s largest producer of blueberries. If all the blueberries grown in North America in one year were spread out in a single layer, they would cover a four-lane highway from New York to Chicago. Blueberries are the second most popular berry in the US. Their consumption has more than doubled within the last 6 years. Does this mean more people are aware of their benefits? It’s best to eat organic blueberries. Most U.S. grown blueberries can have high levels of pesticide residue that could affect liver, and other body functions. Blueberries are in the top fifteen list of crops with the most pesticides, according to the Environmental Working Group. Blueberries are the least perishable of all the berries. Diana Herrington turned a debilitating health crisis into a passion for helping others with healthy, sugar-free, gluten-free, eating and cooking. After testing and researching every possible healthy therapy on her delicate system she has developed simple, powerful principles which she shares in her recent book Eating Green and Lean, and as host to Care2 groups: Healthy Living Network and Healthy Cooking. 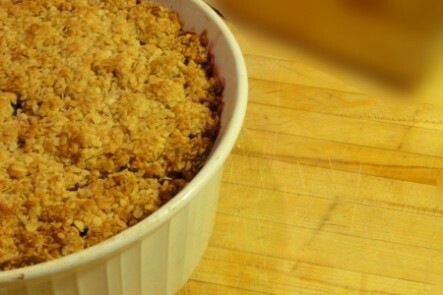 She is the head chef at Real Food for Life, where she shares recipes and tips. 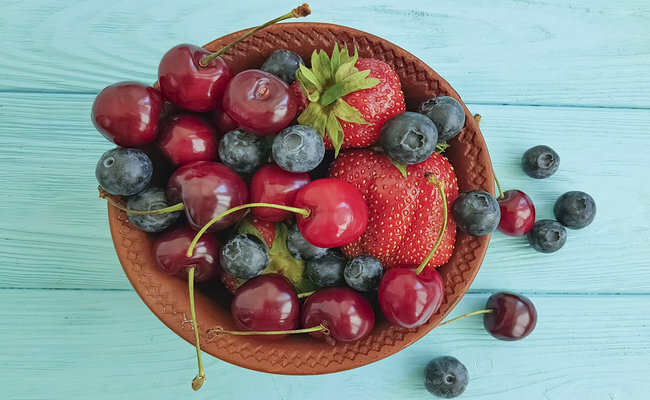 For disease prevention and health maintenance, berries of all colors have “emerged as champions.” Research has focused mainly on cancer prevention and treatment. 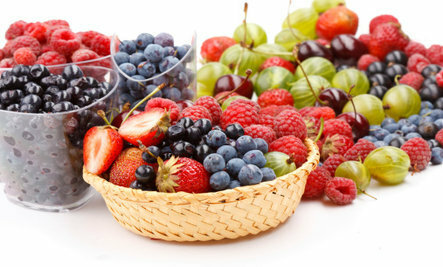 Studies show that the anticancer effects of berries are partially mediated through their abilities to counteract, reduce, and also repair damage resulting from oxidative stress and inflammation. 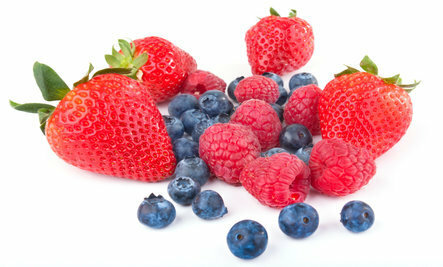 Berries may also have many other positive effects, such as boosting detoxifying enzymes. One of the more remarkable effects is that of blueberries on natural killer cell counts. Natural killer cells are part of our immune system’s rapid response team against cancer cells, eliminating cancer cells through the activation of cancer cell suicide via death receptors. They’re called natural killers because they don’t require activation by prior exposure. We don’t want to wait until our second tumor before our immune system starts fighting. We have about two billion of these soldiers circulating in our blood stream at any one time, but we may be able to get a troop surge with blueberries. Researchers had athletes eat about a cup and a half of blueberries a day for six weeks to see if that would reduce the oxidative stress of long-distance running. They indeed saw a blunting of the spike in oxidant stress. But that’s not what sets that study apart. The number of natural killer cells in the blood typically decreases after prolonged endurance exercise, dropping by half to only about one billion—that is, unless we’ve been eating lots of blueberries. If you click on the video on the next page, you can see a graph comparing natural killer cell numbers with and without blueberries. 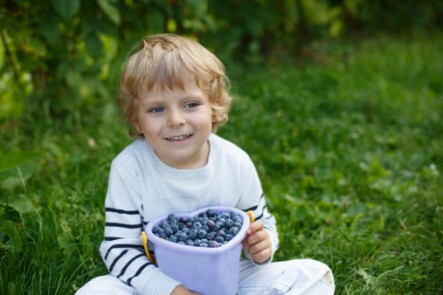 Those who ate blueberries retained close to the standard two billion cells. This is because six weeks of blueberries had doubled the resting number of natural killer cells up to over four billion. This has never before been demonstrated in humans. There was a study on goji berries, but despite a cup a day for a month, there was no significant change in the number of natural killers. Another study, though, showed a significant increase in natural killer cell activity thanks to the spice cardamom. (Cardamom and blueberries—I never thought we’d be fighting cancer with blueberry muffins!) When researchers took some lymphoma cells in a petri dish and added cardamom, nothing happened. However, if we add some natural killer cells, about 5% of the cancer cells are wiped out. Add a little more cardamom, and our troops do better still. And then if we add more and more spice, then all of a sudden the natural killer cells are killing cancer like crazy—the same number of natural killer cells, but they’re now able to kill off ten times more cancer cells. While cardamom alone had no effect on cancer cells even at the highest dose, it seemed to enhance our natural killer cells’ killer instincts. Exercise itself can improve immune function in general, but the blueberry finding is so far unique. It is true that the blueberry study was funded by the North American Blueberry Council and the North Carolina High-bush Blueberry Council. However, just because the study was funded by blueberry councils doesn’t necessarily mean the science is suspect, but we would want to see the study independently verified, especially one so dramatic. Pomegranates—This delicious fruit is super health-boosting. From cancer-protection to heart disease-prevention, and so much more, pomegranates are definitely ‘Tis the Season Superfoods. Squash—Like its relative, the pumpkin, squash is an excellent source of complex carbohydrates, fiber, and beta carotene, making it a delicious and nutritious addition to your diet. Loaded with vitamin C, blackberries also contain ellagic acid—an important phytonutrient that protects skin cells from damaging UV rays. Ellagic acid also prevents the breakdown of collagen in the skin that occurs as we age and is linked to wrinkling. Blueberries are phytonutrient powerhouses. They contain: anthocyanins, ellagic acid, quercetin, catechins, and salicylic acid. If the latter sounds familiar, you may recognize it as the drug we’ve come to know as Aspirin. That’s right—blueberries contain natural aspirin, but in this beautiful and delicious packaging offered by Mother Nature, there’s no worry about harmful side effects. What’s more, blueberries are proven to reduce heat shock proteins that are linked with some forms of brain disease, making these little marvels potent weapons in the prevention of Alzheimer’s and Parkinson’s disease as well as other neurological disorders. A cross between blackberries and raspberries, these berries strengthen blood vessels, making them an excellent addition to help fight heart disease or varicose veins. 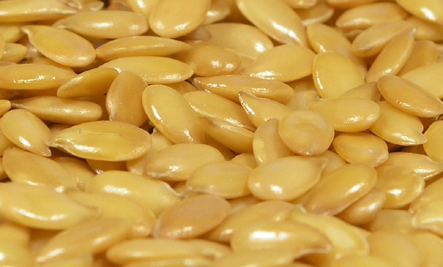 They contain rutin, which research shows strengthens capillaries and improves circulation. They look like long raspberries. Currants contain gamma-linolenic acid that inhibit the body’s histamine—the allergic response in reaction to pollens. That makes them great to help you avoid or eliminate sinus congestion and itchy eyes linked to seasonal allergies. Since they are tart, you might enjoy them best mixed with other berries. 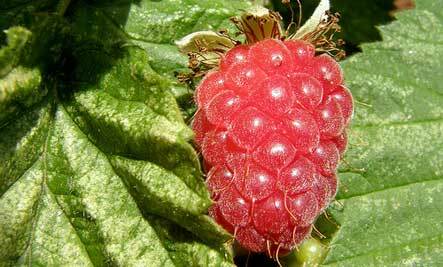 Raspberries are still my favorite fruit. Raspberries, like other berries, contain an important compound that is 10 times more effective at alleviating inflammation than aspirin. Containing the phytonutrient ellagic acid, raspberries can help protect against pollutants found in cigarette smoke, processed foods, and may neutralize some cancer-causing substances before they can damage healthy cells. They’re delicious on their own, in a fruit salad, in a smoothie, or on top of a green salad. 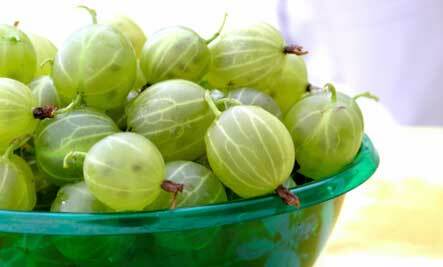 Gooseberries—the berries that resemble green grapes—help you to feel happier. In recent research in the journal Experimental Neurobiology, scientists found that gooseberries contain a flavonoid called kaempferol that prevents the breakdown of brain hormones serotonin and dopamine. These brain chemicals naturally help us fight stress and keep our spirits up. More than delicious, when it comes to disease prevention, these babies pack a serious punch. Not only do eight strawberries contain more vitamin C than an orange, they are antioxidant powerhouses. 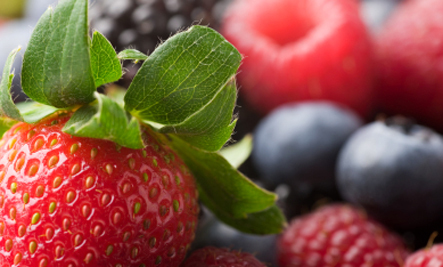 Whether you want to evade heart disease, arthritis, memory loss, wrinkling, or cancer, these berries have proven their ability to help. Plus, they’re just so easy to get into your diet on a regular basis. 1. Catechins found in blueberries activate fat-burning genes in abdominal fat cells to assist with weight loss, and belly fat loss in particular. According to research at Tufts University, regularly ingesting catechins increases abdominal fat loss by 77 percent and double total weight loss. 2. They contain a group of natural phytonutrients (plant nutrient) called proanthocyanidins which have a unique ability to protect both the watery and fatty parts of the brain against damage from some environmental toxins. 3. Blueberries are one of the richest sources of proanthocyanidins. These phytonutrients decrease free radicals levels that are linked to aging (yes wrinkling!) and disease. 4. In animal studies, those given an extract of blueberries had less motor skill decline and performed better on memory tests than animals not given the blueberries. Researchers conclude that compounds in blueberries may reverse some age-related memory loss and motor skill decline. 6. They are a rich source of the phytonutrients ellagic acid. Ellagic acid has proven anticancer and genetic-material-protection capabilities. It also encourages a healthy rate of apoptosis—how the body seeks out and destroys harmful or damaged cells, like cancer cells. 10. Blueberries are excellent anti-inflammatory agents. They increase the amounts of compounds called heat-shock proteins that decrease as people age. When heat shock proteins decrease the result is inflammation and damage, particularly in the brain. Research shows that by eating blueberries regularly, inflammation lessens. 12. They just taste great. Ok, this is no surprise but it’s a great reason to eat blueberries anyway. Adapted from The Life Force Diet by Michelle Schoffro Cook. The day I turned 25 years old I headed straight to thestore and bought loads of different ultra pricey skin creams. I was sure this would keep me wrinkle-free. By 30 my tone had changed. I began to realize that while I still wanted to look young and vibrant, youth came from the inside. The foods you eat show through your skin. They’re what end up keeping you looking young or not so much. After all, your food is your medicine, three times a day, everyday. As you already knew it’s loads of fruits and vegetables as well as other whole foods that end up doing the trick. If you’re concerned with aging gracefully, start where it matters, in your diet. 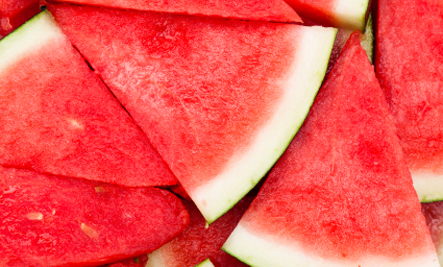 Here are seven foods that will keep you looking younger longer. Image Credit: mckaysavage via Flickr. 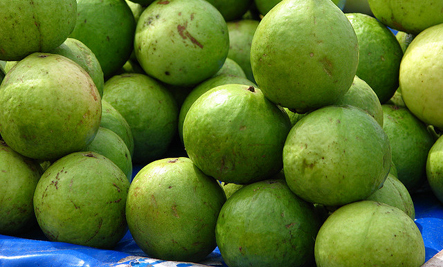 Guava is great for your skin because it’s loaded with vitamin C. According to the Dr. Oz Show, it has 4 times as much as citrus fruits. Vitamin C serves as the body’s natural Botox, keeping your skin cells full and wrinkle-free. 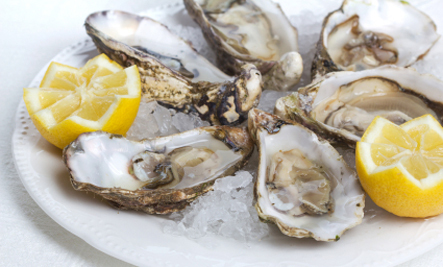 Depending on type and variety oyster, they provide 16 to 182 mg of zinc per 100g serving, according to Healthalicious. This accounts for 110 to 1200 percent of the RDA for zinc. Zinc serves to repair damage done to skin cells. So if you spent too much time out in the sun as a child and caused problems for your skin, zinc can prepare it. “Essential fatty acids are responsible for healthy cell membranes, which is not only what act as barriers to harmful things but also as the passageway for nutrients to cross in and out and for waste products to get in and out of the cell,” Ann Yelmokas McDermott, PhD, a nutritionist at the Jean Mayer USDA Human Nutrition Research Center on Aging at Tufts University in Boston told WebMd. Omega 3 is made up of three acids EPA, DHA, and ALA. ALA can be found in hemp seeds, flax seeds, and chia seeds. DHA and EPA are found in algae, spirulina, blue-green algae, and chlorella. 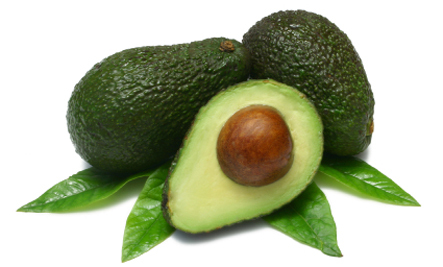 Omega 6′s are found in many vegetarian foods including olive oil, whole grains, and avocados.